To see any photo larger just click on it and then use your browser back button to return to the blog. This Month I had planned to write about clovers…..but that has now been moved to November due to a photographic opportunity this weekend. In early August Dr. Gabe Pent of the Blackstone AREC helped me acquire some samples of Native Warm Season Grasses. These grasses were on the farm of a cooperating producer in Dinwiddie and were grasses that Dr. Teutsch had assisting in planting quite a few years ago. We managed to locate and dig up plants of all five of the commonly referenced Native Warm Season Grasses. Switchgrass, Eastern Gamagrass, Indian Grass, Big Bluestem and Little Bluestem. We used these grasses at a small field day we had in August and then again in our Native Plants Buffer display at the State Fair of Virginia. A few comments about the whats and hows….I knew I had to try to keep these plants alive for a couple of months….I acquired a few five gallon buckets. Not wanting to leave holes in the fields I acquired some cheap potting soil and some composted manure and mixed it up and filled the buckets. My thought was to dig up as much plant as we could and put them in the five gallon bucket with any extra soil going to the hole. But it was hot and dry when we collected our plants and it was all we could do to get the shovels in the ground to get some roots. I am a not so petite 24o lbs and me jumping on a shovel could not get it to penetrate much more than four or five inches into the soil. Dr. 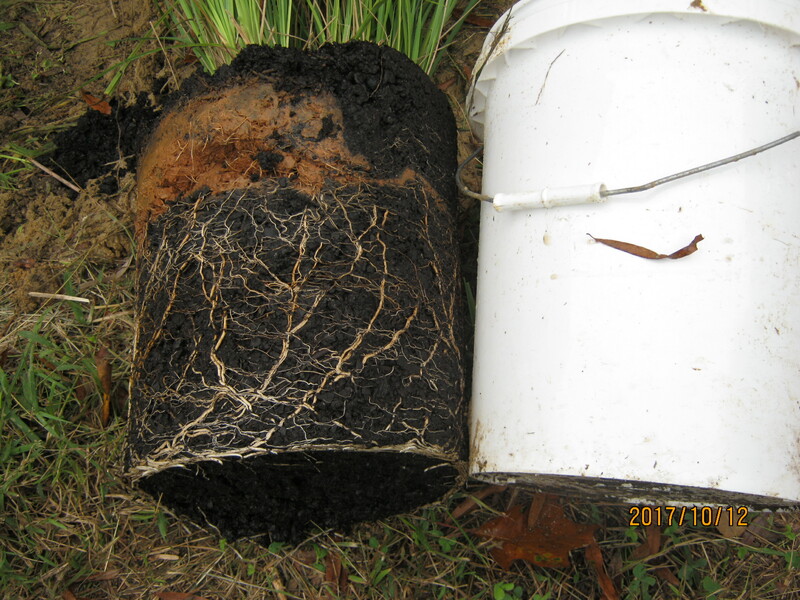 Pent thought we had enough root so that is what we settled for….When I got them home I watered them well and let them set in thoroughly wet soil for a couple of days….then I drilled a drainage hole in each bucket. I opted to drill the hole at about half the depth of the bucket to maintain a water reservoir in the bucket in case I missed watering. 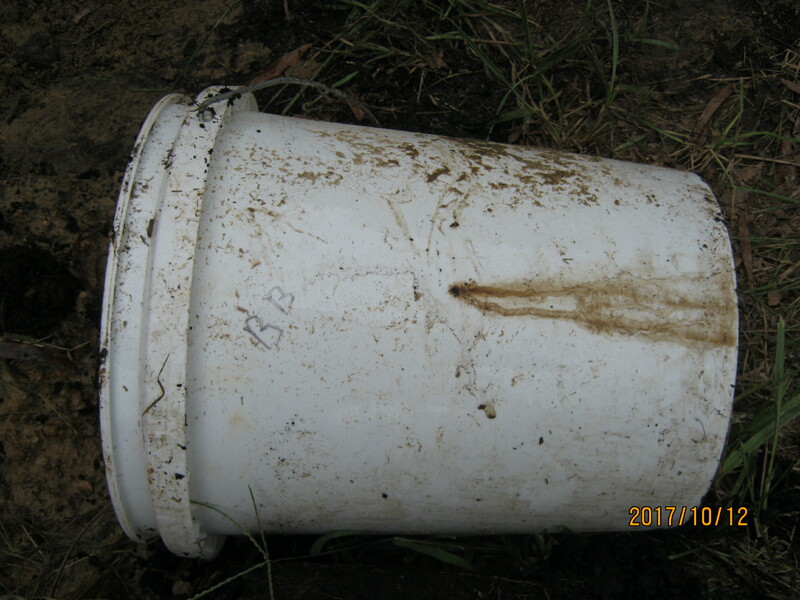 Below is a photo of a bucket. I watered these plants nearly daily. Each bucket got 1 quart of water through August and September. They managed to stay alive and endured the movement to and from the fair and lived in the tent the duration of the State Fair. As a reward I decided to take them home and plant them somewhere. So I planted them along the eastern side on my barn. I dug the holes before we had the ten inch rain last week. 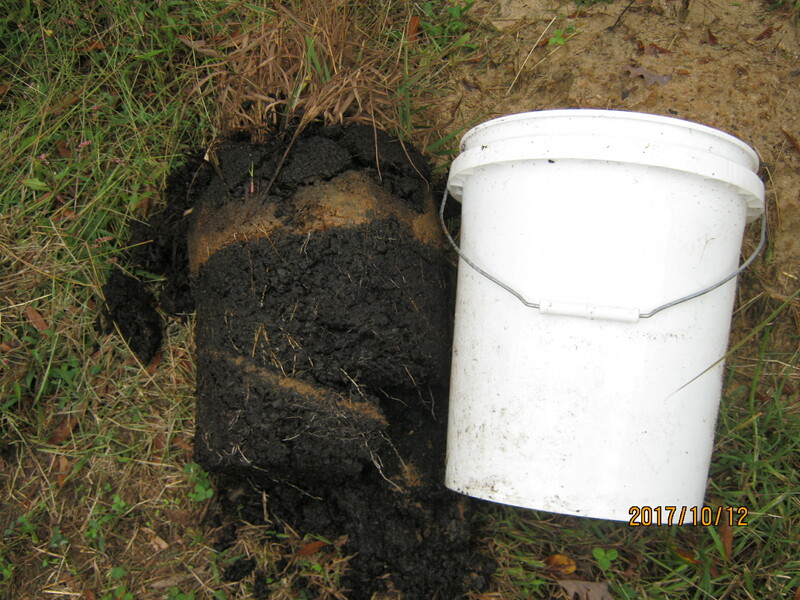 I dug a hole big enough to set the five gallon bucket in. This chore took a while because the ground was like concrete and dry as a bone…..the holes were dug with a spud bar and a manual post hole digger removing the dust. 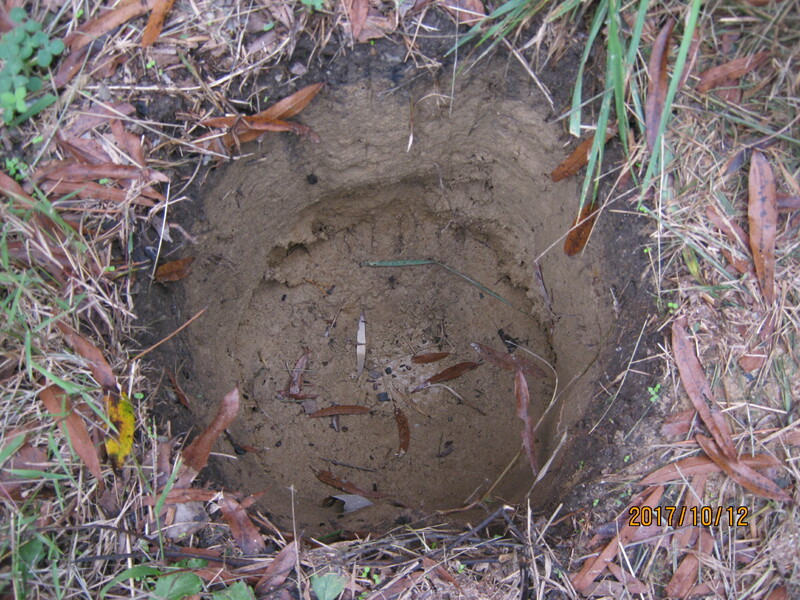 Two days after I dug the holes we had the big rain….so the underlying soil is now thoroughly wet. The surprise was when I took the first plant out of the bucket for planting. 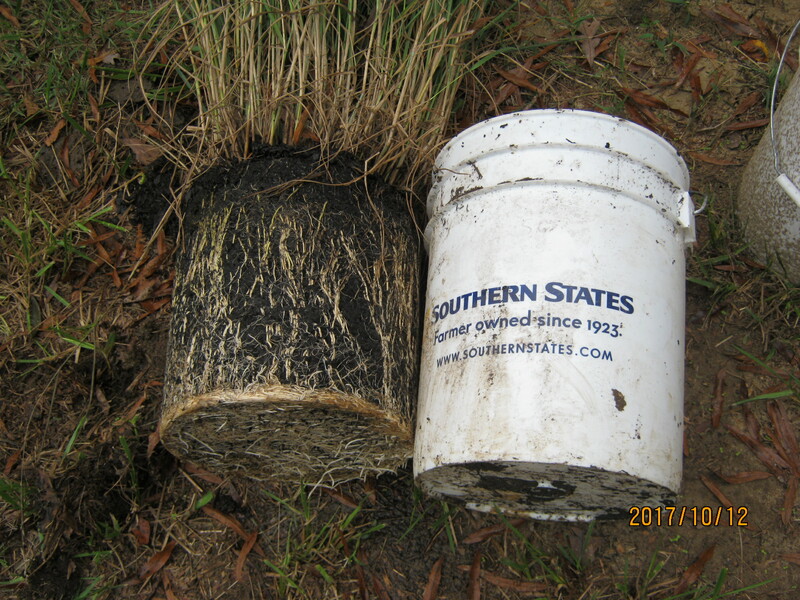 It was a Switchgrass plant and the roots were wrapped around one another at the bottom of the bucket. 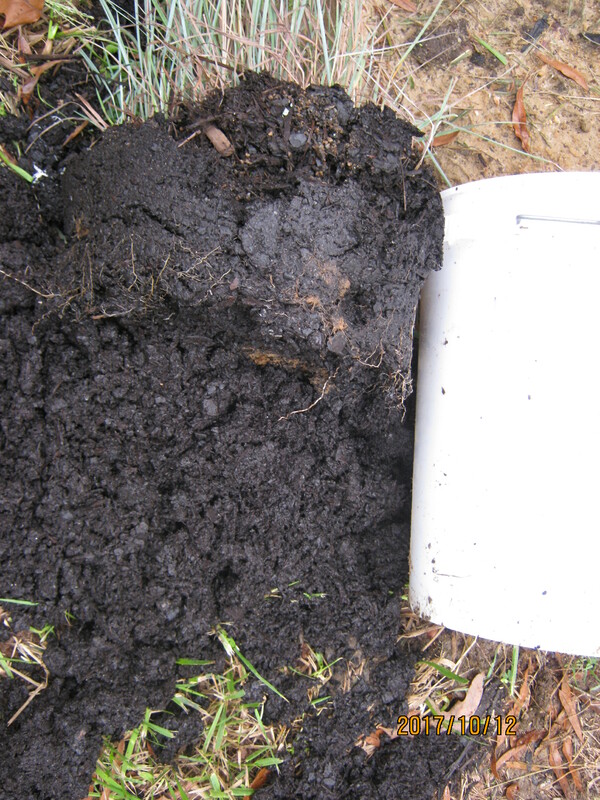 Note that the red soil is the soil we were able to dig up and the black soil is the cheap potting soil from Walmart. So you can see that we did not dig up a high volume of root for any plant. I took some photos and put it in the hole and the hole was too deep so I backfilled and then put the plant in and put dirt around them and watered in. Then was a big bluestem. 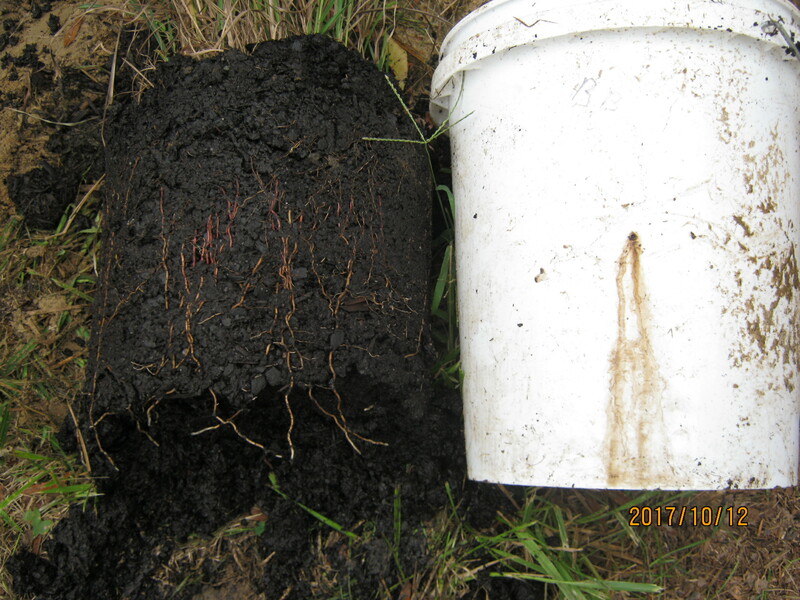 All except the little bluestem had roots to the bottom of the bucket. These plants are famous for being deep rooted perennials. This is what gives them the hardiness to survive dry conditions and the ability to forage for their own nutrients and not need fertilization. 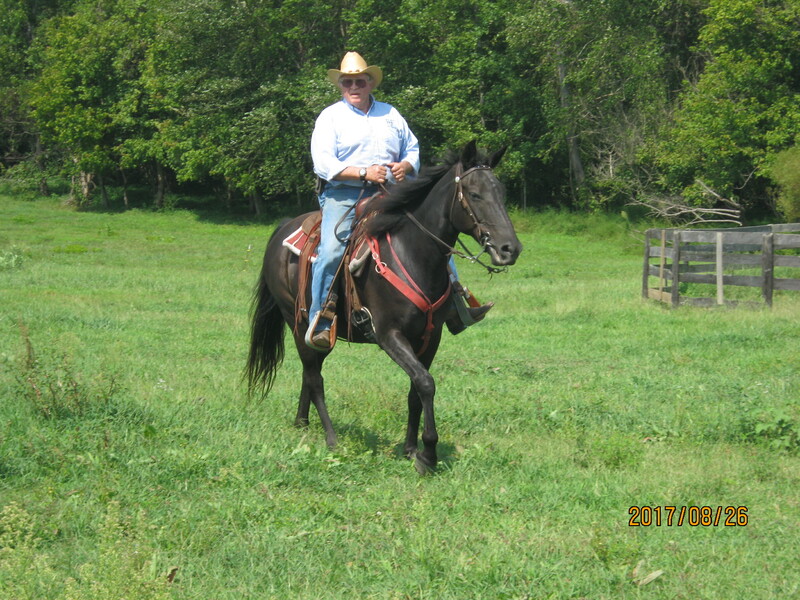 These characteristics are what make these plants such a great forage alternative for warm weather grazing or hay making. They will not endure under continuous grazing. Their growth point is higher in the plant and livestock love to graze these plants and will graze them into oblivion under continuous grazing. The plants however are fast growing and highly productive and will do extremely well under even minimum rotational grazing allowing for a couple of weeks of rest and regeneration. Warm Season Grasses will take about a year to get established but then once established they are a great source of summer forage during the hot dry times when fescue and orchardgrass go into the summer slump. They just take a little different management. They are also great for wildlife……particularly quail…. My intention is to plant two paddocks this winter or early spring. 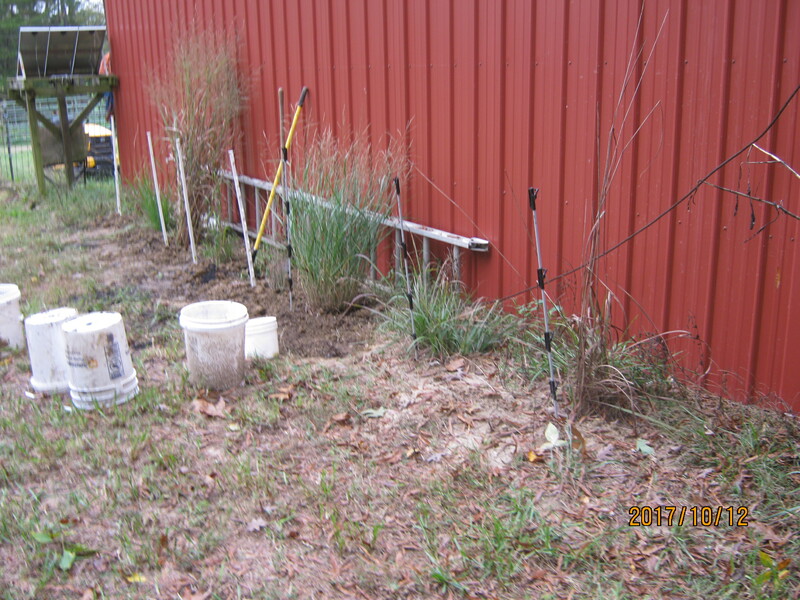 One of Eastern Gamagrass and one of Switchgrass…..these two grasses will do well in single species plantings. Switchgrass will also do well when planted with Indiangrass and the Bluestems. Indiangrass and Big Bluestem and Little Bluestem are commonly planted together.